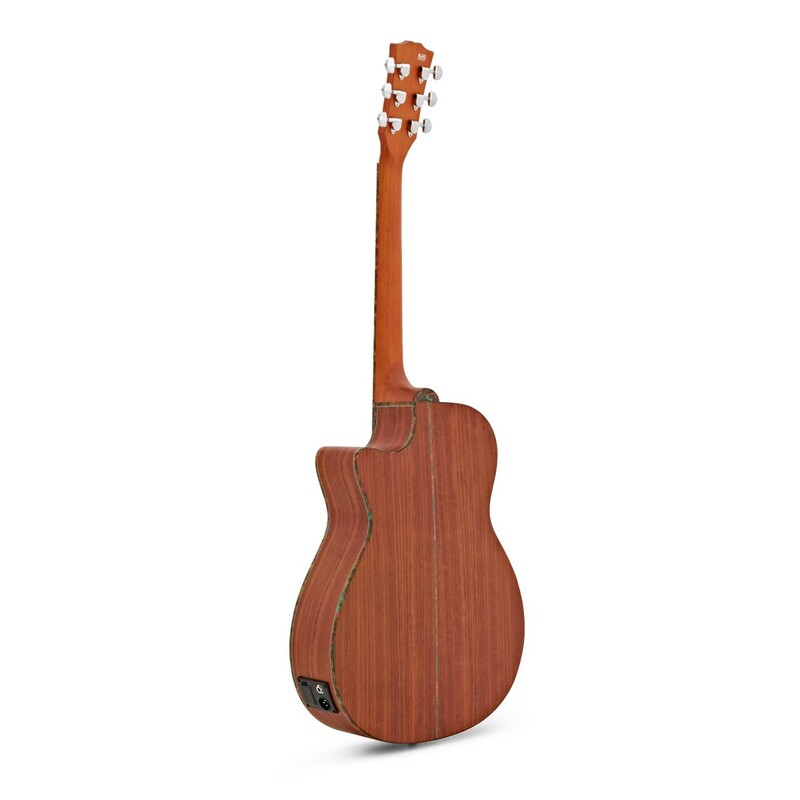 Manufactured from high quality Padauk and Spruce, the Deluxe Single Cutaway Electro Acoustic Guitar by Gear4music not only looks the part, but plays host to a highly impressive array of innovative features that push its value way beyond what is a highly competitive price tag. 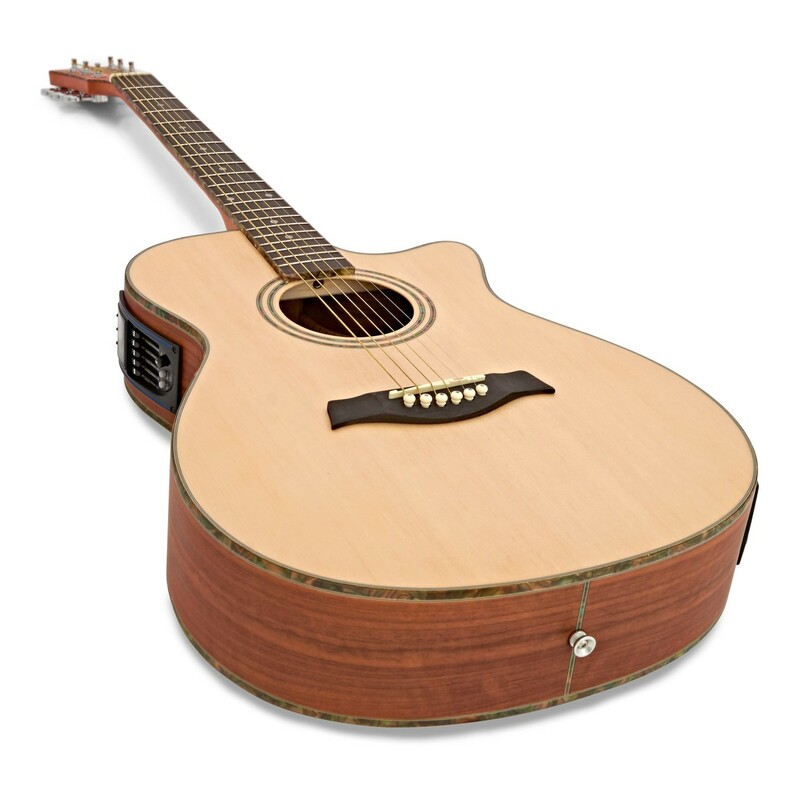 The stunning sound of the Spruce Top is complimented by the striking use of Paduak in this body of this guitar. Combined with the stunning perloid trim, be prepared to stand out from the crowd. Attach all this to a pickup with LCD screen, chromatic tuner and 4-band EQ and you're ready to take yourself to the next level. 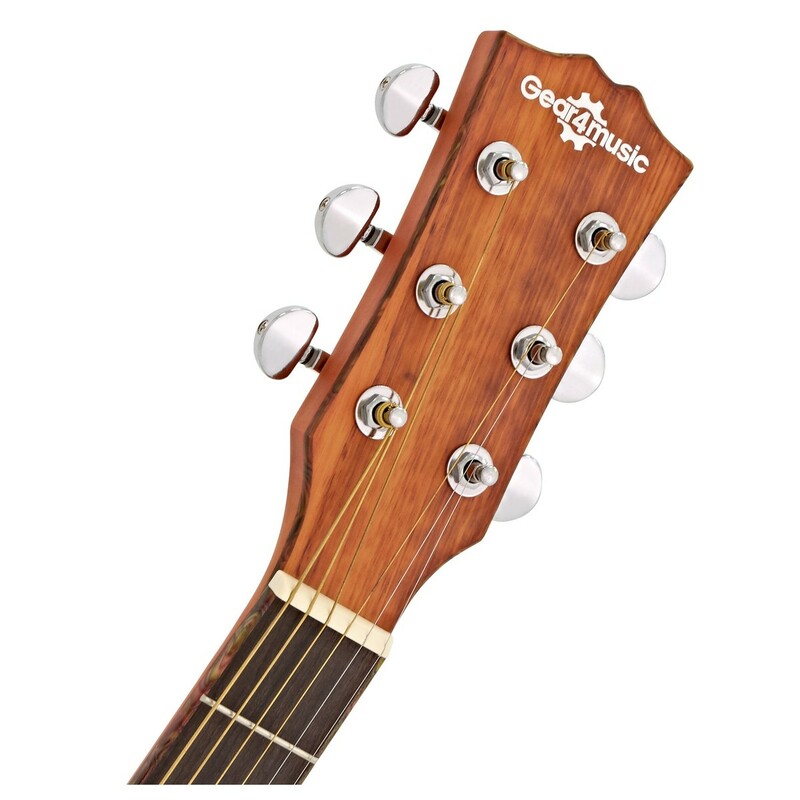 Another impressive feature of this guitar is the provision of the built-in gooseneck mic which not only can be positioned manually within the body of the guitar, but a seperate blend function on the pickup allows you to pick optimum sound between this signal and the built in pickup. 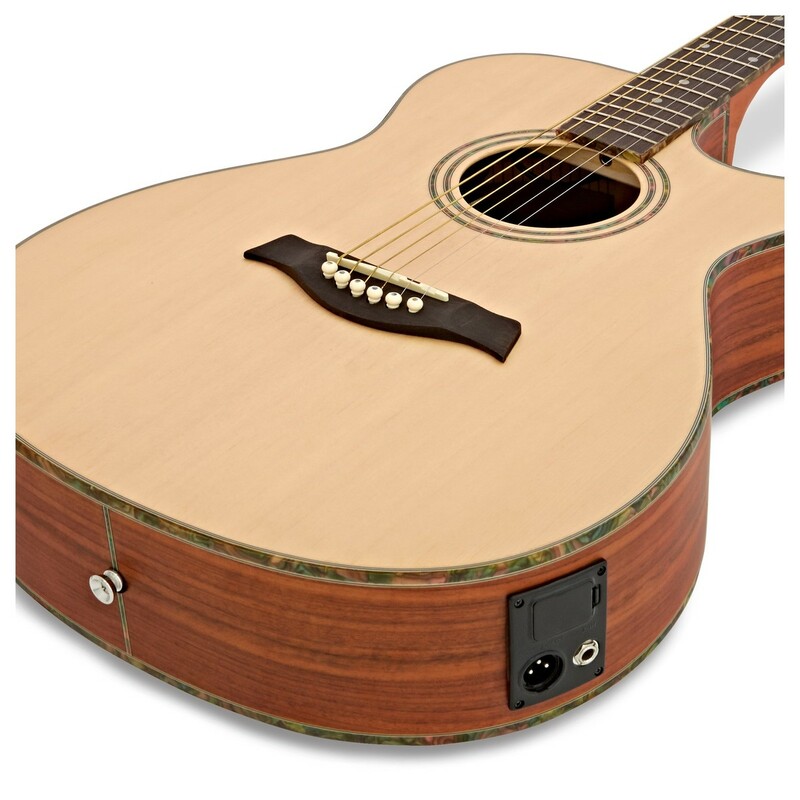 In addition to the 1/4" output jack, a balanced XLR output is included so you can connect this guitar direct to a PA system. 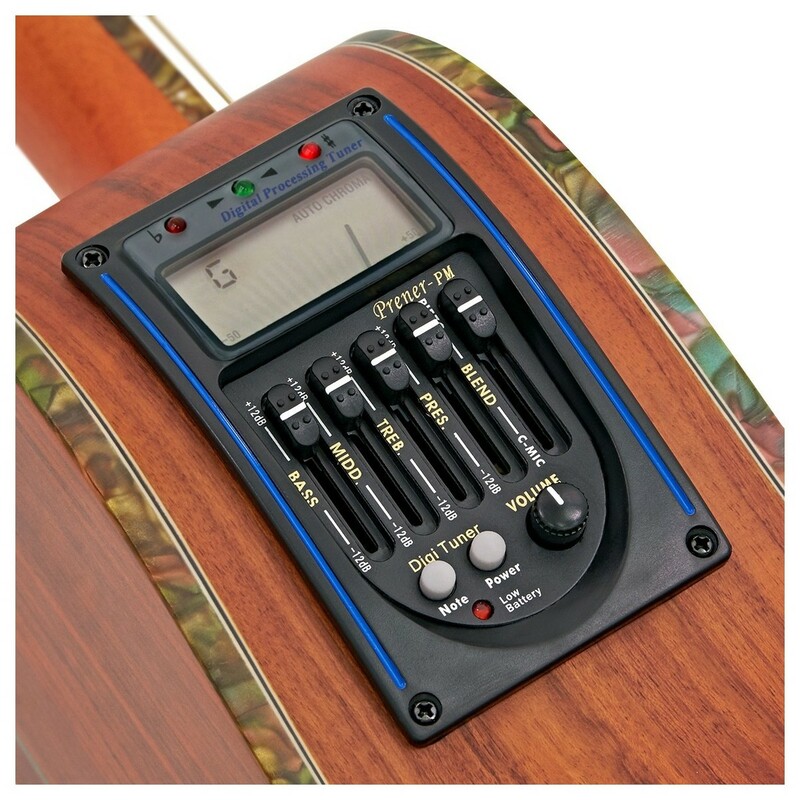 "[The on board preamp tuner] is a great little unit allowing you to blend between the built-in condenser mic and transducer strip pickups. Allowing you to shape your tone further is the three-band EQ and a presence control which allows more top-end voicing, but the guitar comes into its own as you shape the warmer and fuller-bodied condenser mic tones." "The blend system in the preamp places high quality sounds in the hands of beginners. 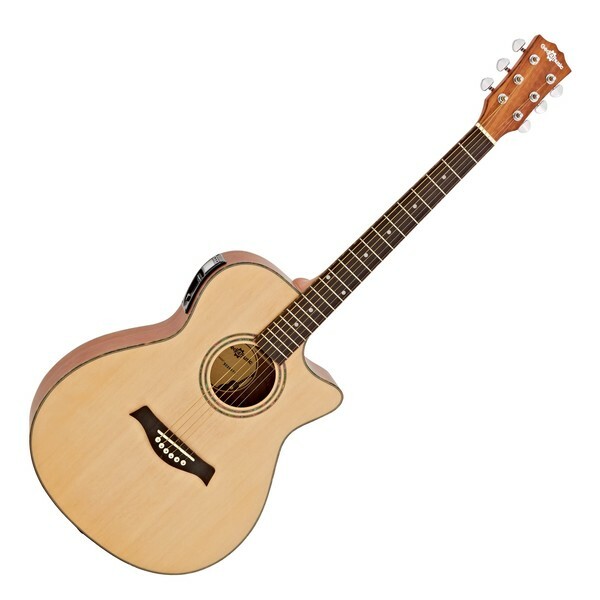 If you're planning to plug in, this is a great budget guitar."